Amazon has just introduced Sponsored Products Ad Retargeting (‘Extended Ad Network’). The new advertising program is currently being tested with automatic campaigns in Sponsored Products. 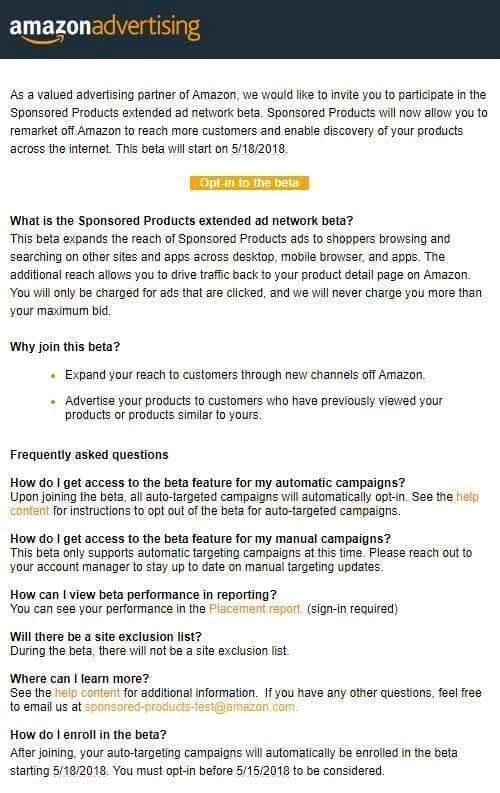 This new beta feature enable sellers and vendors to expand the reach of their Sponsored Products ads to off-Amazon websites and apps for retargeting purposes. 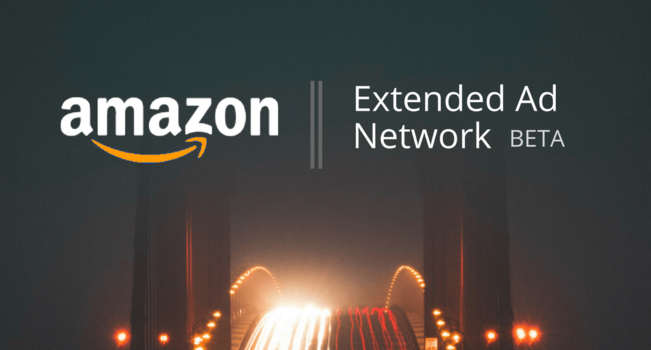 The Extended Ad Network program is expected to help sellers and vendors widen their reach and exposure outside of Amazon. All your automatic ads will automatically be activated for the service. Nothing else changes… The ad format will remain the same with links to the product listing page. Pay-per-click, the auction service, sales attribution and billing will all stay the same. Retargeting will also use your current CPC bids. The program works in a similar fashion to Google’s Display Ad Networks, which allow advertisers to place ads on various websites of their choice. In the past, Amazon’s advertising system was limited in scope, allowing sellers to reach buyers only on Amazon. This new move by Amazon is a big step forward in their attempt to go head-to-head with Google and Facebook.